June M. Bortzfield, in her 96th year, peacefully entered into her final rest on January 29, 2018 at The Glen, in Willow Valley. June and her husband Frank (deceased) had resided in the Willow Valley Lakes Retirement Community since 1986. She was born in Holtwood to Samuel J. and Bessie G. Clark Myers on June 13, 1922. June graduated from the former Quarryville High School in 1940. She retired from the Buck Company business office after many years of service. She is survived by her daughter Sandra (Coll), wife of Michael, and pre-deceased by her son Doug (Connie). 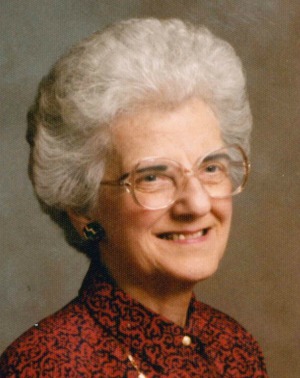 She had three grandchildren; Christine (David Dugan), Anne and Matthew (Naomi) as well as three great grandchildren Justin Dugan, Jonathan Dugan, and Emery June Coll. She was a longtime member of the West Willow United Methodist Church. She was an avid pinochle player and loved any activities that included her family. June is remembered with love by all her family and friends as a wonderful, caring, and giving person. Memorial services are scheduled for Friday, February 16, 2018, 11:30 AM at the West Willow United Methodist Church, 118 W. Willow Rd, Willow Street, PA 17584. Interment is private. In lieu of flowers, memorial contributions may be made to: Caring Hospice, 101 Good Drive, Lancaster, PA 17603 or to West Willow UMC at the above address. I am sorry for your loss of June. May the “God of all comfort” embrace you and bring to your minds joyful memories. All the best wishes for your family at this time, take care.